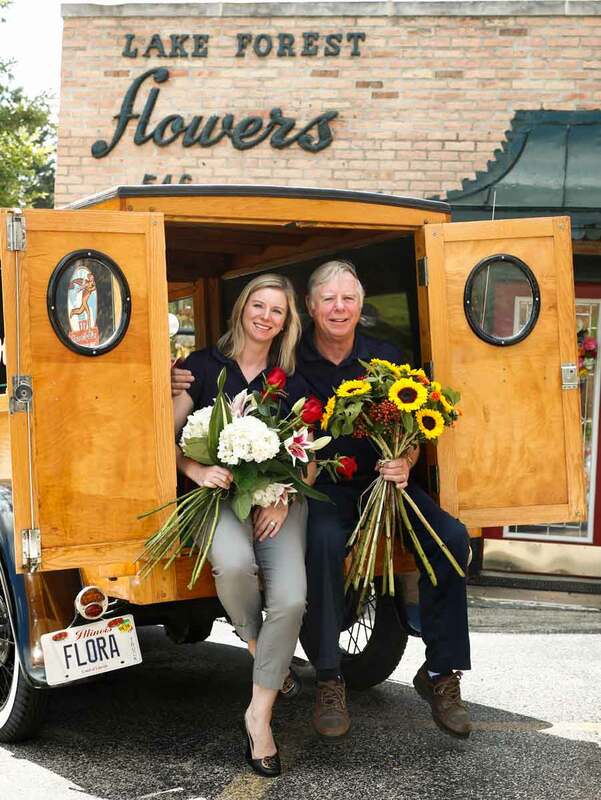 LAKE FOREST — Understanding the emotions that people express giving flowers as gifts is part of the reason owner John Looby loves the florist business. 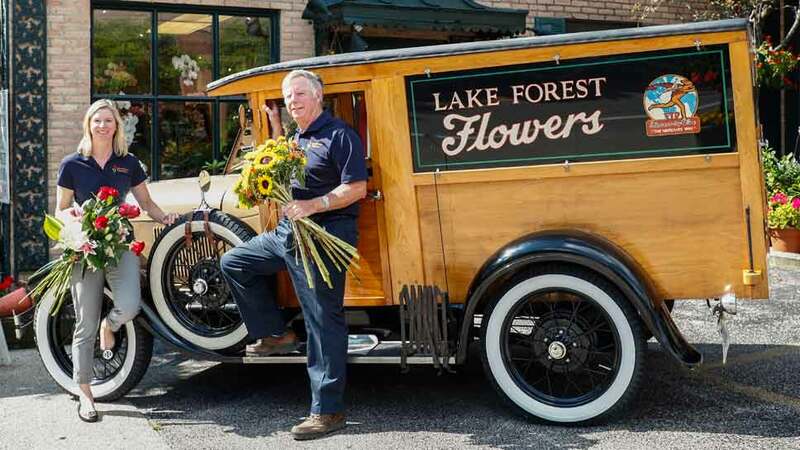 Looby is the third owner in a century-long chain of entrepreneurs guiding Lake Forest Flowers to its 100th anniversary this year in downtown Lake Forest. When he bought the business in 1981, there was no internet, and flowers were mostly grown locally. All that has changed during his 36-year tenure, but Looby said he has not lost sight of what his customers want despite their use of the internet and other 21st century methods of doing business. The company has a website designed to make the customer’s experience user friendly, but both Looby and his daughter, Eileen Looby Weber, the company vice president, are ready to step in when the human touch is needed. Customers go to the website, find the flowers they want to purchase and then get stumped on the language for the card, according to Weber. Just knowing when and how to use the word love can give a person pause. Weber got a call recently from a woman who was several months into a dating relationship. Then her boyfriend’s mother landed in the hospital. The customer wanted to send flowers, but she was uncertain what words belonged on the card. Lake Forest Flowers was started by Irwin Dryski in 1917, according to Looby. He also owned flower shops in Highland Park and Winnetka. He operated the business for 30 years before selling to Grace McGill in 1947. Looby bought it from McGill in 1981. Weber joined the business 15 years ago. 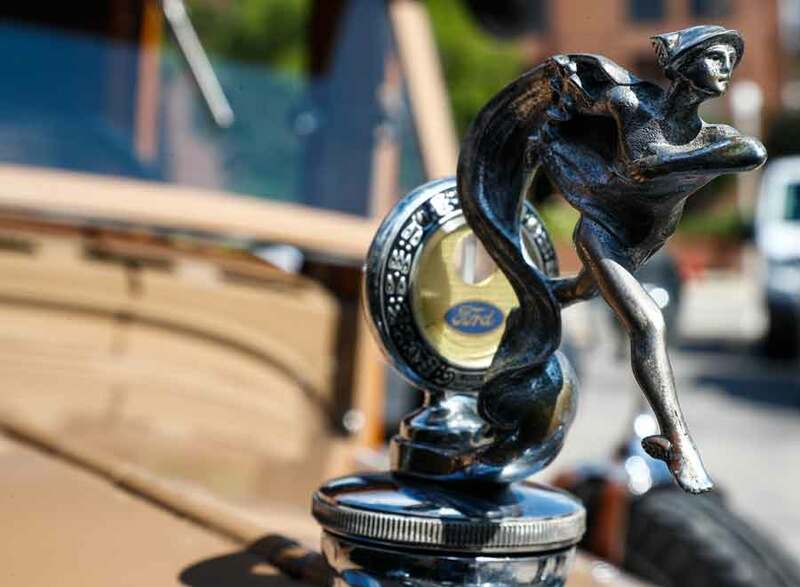 Looby, who grew up in Lake Forest, developed a love and understanding of flowers as a young boy when he mowed the lawn of Herman Jahnke, who would one day be a competitor. Jahnke owned other flower shops in town. It took a few years before Looby got into the business. Starting out teaching English and social studies at Holy Child High School in Waukegan, Looby got into the flower business in 1975 when the school closed. He opened a greenhouse in Lake Forest then. While Looby knows the ins and outs of flowers, he also either knows his customers or understands how to quickly get to determine their floral needs. He said one day he got a call from the administrative assistant of a long-time customer. 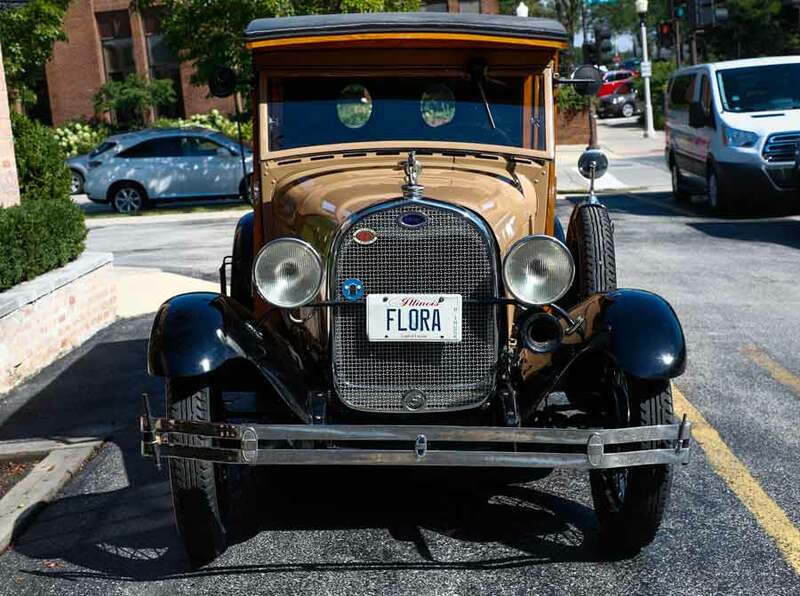 Lake Forest Flowers’ iconic car, a 1929 Ford Model. Looby also continues to teach and some of his best learners have been more than 800 Lake Forest High School students who have worked for the company as delivery persons for the last 37 years. The business has changed a lot in the 37 years since Looby bought it. Weather and location limited much of what he could sell, but the world has become smaller, according to Weber. “You can get any flower from anywhere you want as long as you are willing to pay the price,” added Looby. Lake Forest Flowers’ formal 100th anniversary celebration will take place from 1 to 4 p.m. October 14 when everyone entering the store will receive a red rose, according to Weber. There will be refreshments and activities.